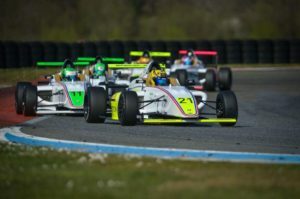 Mygale comes as one of the main innovative forces on the international scene of motorsport. 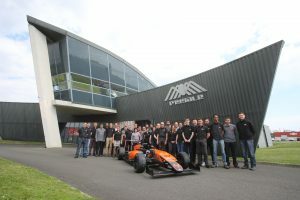 Mygale earned its worldwide reputation in motorsport in the last 30 years by designing and manufacturing 1,130 racing cars, either for most famous brands (Formula Renault, Formula BMW, Peugeot Spider) or under its own name (Formula Ford, Formula US2000, Formula 3, Formula 4 …). Mygale can be credited with 1,200 victories over 5 continents, 7 World Champion titles; and was a decisive springboard in the career of famous current Formula 1 drivers such as Jenson BUTTON, Kimi RAIKKONEN, Nico ROSBERG or Sebastian VETTEL. This success is the result of the whole company’s dedication and the excellence of each and every one of the individuals that are part of Mygale. This industrial knowledge, very wide in terms of motorsport engineering and manufacture/production, enables Mygale to provide for its customers’needs: subcontract manufacturing of high-tech parts or the realization of industrial projects. 35 skilled employees work in the highly-modern 2650m2 factory, ideally situated at 2h30 from Paris and Lyon in the technopole of the Nevers Magny-Cours international track. World leader in F4 with 9 championships.